Newer to Sanctuary? Wondering what we're about or hoping to meet some of the leadership? This is the class for you and a great place to start! We'll provide lunch and childcare. You can enjoy the food while hearing a bit about Sanctuary -- our history, our leadership, and what we're passionate about. Click HERE to sign up! Join Sanctuary's Hands on Faith ministry to volunteer at IC Compassion on Wednesday, April 3. IC Compassion assists immigrants and refugees, and they host regular Community Meals. Our hope is to build connections as we assist with these meals. You can bring food, serve, or simply hang out and enjoy dinner. You're welcome to do more than one role if you'd like. SIGN UP HERE. Contact david@sanctuaryic.org for more info. Thank you! Our Hands on Faith ministry is partnering with Coralville Central to assist with their Ride Into Summer event on May 15, 6-7:30 p.m. Volunteers can help with dinner (set up, serve, cleanup) or the bike rodeo for kids. We’re also hoping to provide 400 cookies. If you can serve or provide some cookies (or both! ), please sign up on this form or on the clipboard at the welcome table. Contact David (david@sanctuaryic.org) with any questions. Thank you! Interested in learning more about what membership at Sanctuary looks like? If you've already attended Sanctuary 101, this class is the next step in helping us "throw the party" that is Sanctuary Community Church! RSVP to Beth Faga at beth@sanctuaryic.org. A light lunch will be provided, as well as childcare. Join us for worship on Easter Sunday (April 21) as we celebrate Jesus’ resurrection! We’ll offer two Sunday services: 9:00 and 10:45 a.m. PLUS: we’ll have a free Easter themed PHOTO BOOTH for family and friend photos. 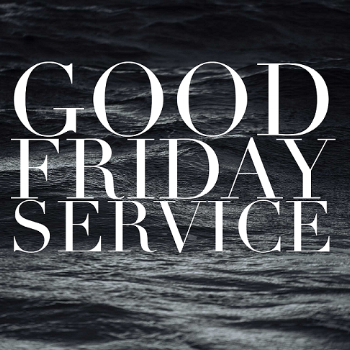 Please join us for our Good Friday Service on Friday, April 19, 6:30-7:30 p.m. Good Friday is the annual remembrance of Jesus' crucifixion. We mark this important date through a worship service that includes scripture readings, music, and imagery. As we contemplate Jesus' suffering, we are drawn more into God's fullness. This is one of the most important special worship services all year that brings the Lenten season to its climax. Childcare is available for kids ages 0-5, but we ask that you RSVP to Phyllis (phyllis@sanctuaryic.org) to reserve a spot. Lent has traditionally been a time of intentional giving, and at Sanctuary, we do that together by giving a $10,000 gift to a local non-profit. Sanctuary members and attenders can nominate a local non-profit to be one of three finalists for receiving a $10,000 donation from Sanctuary. Sanctuary Board and Staff members review all submissions and then pick the three finalists. Then everyone votes to select the winning nonprofit on Easter Sunday (April 21). Email david@sanctuaryic.org to receive the nomination form. Sunday, April 14 is our annual HoFfering (Hands on Faith Offering). Our goal is to raise $20,000, and all of the money raised through the HoFfering goes towards financial support of organizations beyond our church. This past year, for example, we gave $10,000 to G! WORLD as a part of our Easter $10,000 Blessing. Our church supports many local organizations and relief efforts as well. Financial giving from our church makes a huge impact because it signals so much about Jesus’ goodness and generosity. If you won’t be at church on April. 14, you can give online at www.sanctuaryic.org/give. We’re excited to launch a new teaching series in Lent called Flipped, which will explore how God flips our worlds upside down. We see the ultimate example in Jesus’ death and resurrection, but there are all kinds of ways that God’s goodness surprises us through radical reversals. Join us every Sunday in Lent, or catch the live stream or podcast. 1. Friday, March 8, 6:30-10:00 p.m.
2. Saturday, March 9, 8 a.m. - 12:00 p.m.
A couple in a long term relationship? New parents navigating your new normal? Expecting your first child? New Grandparents? Married 10+ years and looking to enrich your relationship? Then this course if designed with you in mind. Based on The New York Times bestseller The Seven Principles for Making Marriage Work, this seminar was developed from Dr. Gottman’s four decades of research with more than 3,000 couples. Over the years, Drs. John and Julie Gottman have continued to fine-tune their innovative method of disrupting negative behaviors that send marriages onto the rocks. Showing partners how to work with the small daily moments that make up the heart and soul of any relationship, The Seven Principles Marriage Course brings you proven, practical, and effective strategies for making marriage work. NOTE: The seminar is not for couples with severe relationship distress, emotional or domestic violence, active addiction, or other serious mental health problems. Ash Wednesday marks the beginning Lent, the 40-day period before Easter. Join us for our Ash Wednesday worship service (March 6, 6:30 p.m.) that includes music, prayers, and the symbolic distribution of ashes. Childcare is available (for ages 0-5), but please reserve a spot by emailing phyllis@sanctuaryic.org. Caring for ourselves is vitally important to our well being, but we don't always know what it looks like or how to make time for it. Speakers Beth Faga and Cory Hutchinson-Reuss will share self-care practices they have benefitted from while going through harder moments of life. There will be time set aside for table discussions and sharing. Breakfast will be served and childcare is available for $5/child. Payment collected at the door. Note childcare needs when you register at the link below. Childcare must be reserved in advance of the event. RSVP for event and childcare here. Led by Sanctuary member Dr. Katie Imborek, this seminar will focus on foundational terms, definitions, and concepts around LGBTQ identities. This knowledge is necessary for anyone interested in respectfully engaging with people of all gender and sexual identities whether in the workplace, church, family and/or social circles. This seminar is free and open to the public, but we request RSVP’s for space and resource planning. RSVP here. Dr. Katie Imborek is an associate professor of family medicine and co-director of UI Health Care LGBTQ clinic. Together with Dr Nicole Nisly, she created the LGBTQ clinic in 2012. This multidisciplinary clinic has cared for over 800 patients since it opened, with the majority of these patients identifying as transgender or gender non-conforming. Dr. Imborek routinely lectures to medical students, residents, faculty and health care staff about providing competent and affirming care to LGBTQ patients. Stick around after the service to check out the great Spring Small Groups that will be starting in the next few weeks. There's something for nearly everyone! More info on specific groups in the spring semester, 2019 will be available soon. Join us Monday, Dec. 24 at 4:00 or 5:15 p.m. for a traditional, family-friendly Christmas Eve service with carols, candles, Scripture readings, and a story for children. Cookies and cider will be served after each service. Join us as we prepare our hearts and minds for this Advent season through contemplation and meditation, led by Valerie Keffala. We will be learning about and practicing a different faith-based meditation practice over the course of four weeks. You are welcome to come for any or all of these sessions. No previous experience is required. Feel free to come and explore as we learn to draw near to God with these practices. We will meet on Sunday evenings from 6:15 to 7:30 November 25 through December 16. Email Beth Faga at beth.faga@gmail.com with any questions and to RSVP. Join us for Sanctuary’s fun, adults-only Christmas party featuring food, drinks, and a holiday themed photo booth. It will be hosted at the home of Dana and Erik Lehmann, 2301 Jessup Cir. Iowa City 52246, on Friday, December 7, 7:30-10:00 p.m. Bring a dessert or an appetizer to share, and the church will provide beverages. Please note: there’s additional street parking available on MacBride Dr. Sanctuary will transition to only one Sunday service time, at 10 a.m., beginning Sunday, Nov. 4. After looking at attendance numbers, volunteer availability, and Kids Wing capacity, we’ve concluded that one Sunday service will best suit our community’s needs. We recognize only one option may present some challenges, and we’re happy to talk through anything we might do to accommodate. Join other community members in a Rally for Immigration Reform on Saturday, Oct. 27, from 3:30-4:30 p.m. at the UI Pentacrest. Sponsored in part by the Iowa Poor People’s Campaign and the Eastern Iowa Community Bond Project, this rally is a peaceful, non-partisan gathering to HEAR stories from Iowans most impacted by negative immigration laws and to LEARN what action we can all take. Check out the Facebook event page HERE for more information. Join Hands on Faith in our next Habitat for Humanity Build on Saturday, Oct. 27. The current project is part of Habitat’s Women Build, a program that encourages women empowerment and engagement in construction. But anyone 16 and over is welcome to volunteer! We have room for 15 volunteers for the 8 am - noon shift. Use the form below to sign up. Email Nick Miller (steven.n.miller@gmail.com) with any questions. Annual HoFfering - October 14 - $20,000 goal! Sunday, Nov. 19 is our annual HoFfering (Hands on Faith Offering). All of the money raised through the HoFfering goes towards financial support of organizations beyond our church. This past year, for example, we gave $10,000 to G! WORLD as a part of our Easter $10,000 Blessing. Our church supports many local organizations and relief efforts as well. Financial giving from our church makes a huge impact because it signals so much about Jesus’ goodness and generosity to others. If you won’t be at church on Oct. 14, you can give online at www.sanctuaryic.org/give. Please consider how you might contribute towards our $20,000 goal. Thank you! We’re glad to invite all men to our next Men’s Breakfast on Saturday, September 29, 7:30-9:00 a.m. at the church. Come enjoy free hot breakfast (and plenty of coffee), an engaging talk, plus lively conversation to follow. RSVP by September 25th to David (david@sanctuaryic.org). Are you the parent of a teen or pre-teen? Wondering why your teen does, says or acts the way they do? Come and find out! Sanctuary is hosting a Parenting Teens Seminar just for you! Erika Lauer, an Iowa City-based psychiatrist, will be sharing information about the complex teen brain and its development. Additionally, local therapist Michelle Hansen will be offering ideas for how to relate to and communicate more effectively with your teen. Everyone is invited to our summer baptism and rededication party on Sunday, August 19, 5-7 p.m. at Sugar Bottom Rec Area. We will celebrate baptisms right at 5 p.m. (so come on time!). You can also swim, play, or just hang out with friends and enjoy good food. The church will provide sub sandwiches and beverages. We ask that everyone brings a dish to share. Last names A-M bring a side dish; N-Z bring a dessert. Don’t forget chairs and blankets for a picnic. We hope to see you there! Newer to Sanctuary? Join us for our Sanctuary 101 Class on Sunday, April 29th, 10:45-11:45 a.m., following the service. This class provides an introduction to Sanctuary and some of our values. A light lunch will be served and childcare will be provided. Use the Sign Up below. Email beth@sanctuaryic.org with any questions. Summer Party by the Pool - July 21, 7-10 p.m. 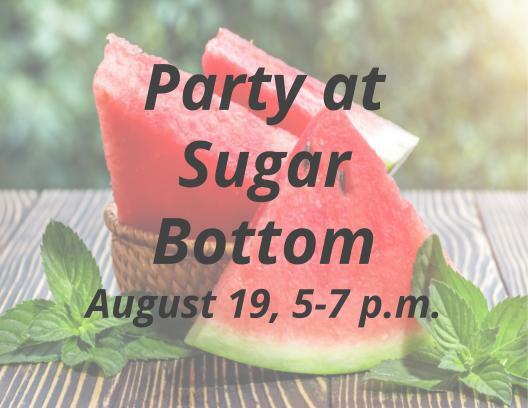 Grab your friends and join us at an adults-only outdoor party to celebrate summer. So many choices... Will you snack and chat? Splash in the pool? Or grab a glass of wine and sit by the fire? You choose. We’ll provide the venue (Wassink’s home, 4306 Pine Ridge Trl, Iowa City), you bring a dish and drinks to share. Men, join us for a 2-day retreat focused on the topic of spiritual practices. There will be lots of great teaching and practical exercises + plenty of time for recreation and hanging out. :::UPDATE:::LOCATION CHANGE::: We've changed the location to Sanctuary with the option of camping out 1 or 2 nights at Sugar Bottom Rec Area. Click HERE for more information and registration info. 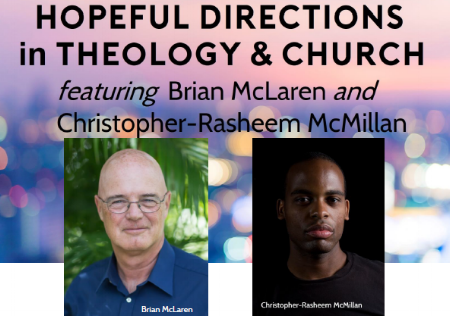 On Sunday, May 6, 2018, everyone’s invited to an evening on the hopeful directions of theology and church in the 21st century. We extended this invitation to other churches to invite their clergy and lay leaders but everyone at Sanctuary is welcome to attend. The event will be held at Sanctuary, and the program starts at 6:30pm with doors opening at 6:00pm. To reserve childcare for this event, contact phyllis@sanctuaryic.org. Please join us for our Good Friday Service on Friday, March 30, 6:30-7:30 p.m. Good Friday is the annual remembrance of Jesus' crucifixion. We mark this important date through a worship service that includes scripture readings, music, and imagery. As we contemplate Jesus' suffering, we are drawn more into God's fullness. This is one of the most important special worship services all year that brings the Lenten season to its climax. Please join us. Childcare is available, but we ask that you RSVP to Phyllis (phyllis@sanctuaryic.org) to reserve a spot. A group from Sanctuary will visit Hope Lodge on Wednesday, Feb. 21 for their bingo games and have a chance to talk with the people staying there. Hope Lodge provides housing for cancer patients and their families while they are undergoing treatment. This Game Night is a great family activity that everyone can participate in. You can sign up by contacting Mim Winn (mim.winn@gmail.com) or sign the clipboard at the Welcome Table. We will also be collecting prizes for the bingo games: stationary, Hawkeye stuff, nail polish, or other small gifts. You can drop them off at the box by the Welcome Table. Thank you! Newer to Sanctuary? Join us for our Sanctuary 101 Class on Sunday, Feb. 11, 12:15-1:15 p.m., following the second service. This class provides an introduction to Sanctuary and some of our values. Lunch will be served and childcare provided. Sign up today. Email beth@sanctuaryic.org with any questions. Retreat with us to Des Moines where we'll make space to encounter God through worship, self-guided prayer and meditation stations, interactive discussions, and the beauty of just being with one another. Registration includes snacks, but does not cover meals. Hotel room costs not included in registration. *Note: We are unable to authorize refunds for retreat registration cancellations after Dec 1st. Join us on Sunday, Jan. 21 in between Sunday services for our Small Group Fair, from 10:15-10:45 a.m. This is a great chance to explore new groups, meet small group leaders, and sign up for a group. Plus, we're serving cinnamon rolls to sweeten the deal!